The Professional Clothing Show is the only dedicated exhibition for buyers, specifiers and suppliers looking to source the latest workwear, corporate wear and personal protective equipment. 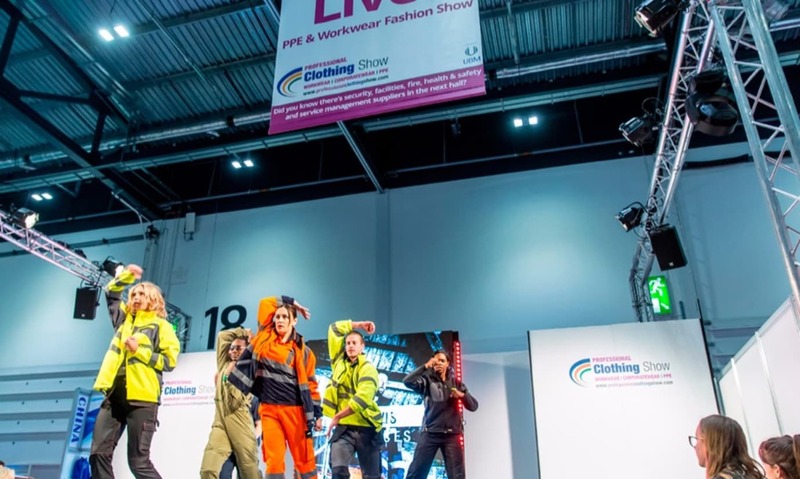 Professional Clothing Show will partner with Safety & Health Expo for the second year running, bringing visitors even more PPE, clothing and workwear than ever before. If you manufacture, supply or distribute within any facet of the garment industry, this exhibition is the perfect opportunity to get your products in front of procurement managers and buyers from an array of backgrounds. Professional Clothing Show is moving to the entrance of the show in a prime position between Safety and Health Expo and Facilities Show/Service Management Expo capturing even more valuable crossover traffic. The ever popular fashion show is moving into the prestigious 400 seater inspirational keynote theatre. The Professional Clothing Awards have been established to recognise the international uniform supply chain and reward exceptional workwear, corporate clothing and PPE from around the world. The awards will cover all facets of the working garment industry from Business Manager Awards, PPE Innovation Awards, Supplier, Manufacturer and Distributor Awards to the Industry Recognition Awards. Professional Clothing Show and Safety & Health Expo are part of the Protection & Management Series, a series of co-located events including IFSEC International, Europe’s largest annual security event, Facilities Show, the world’s largest event in the facilities management industry, Firex International, one of the largest dedicated fire safety events in the world and Service Management Expo, Europe’s largest dedicated field services event.